Now that we have celebrated Memorial Day it feels like Summer is in full swing, which means we can start thinking about the 4th of July!! 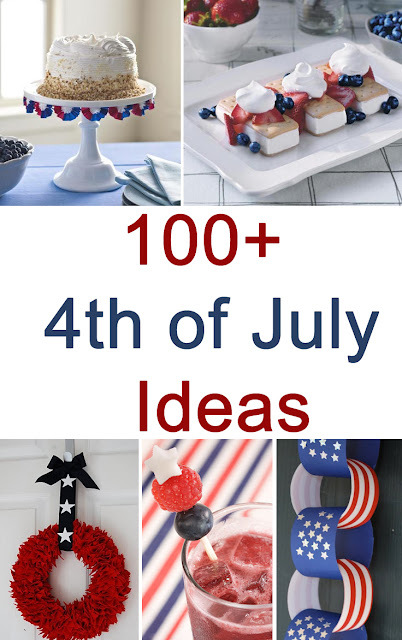 Here are links to the over 200 ideas I have in my archives of great 4th of July ideas! Start planning your barbecue with these 4th of July Party Ideas and don't forget the patriotic desserts! If you haven't started already, now is the perfect time to start putting up your 4th of July decorations! With the extra time that Summer brings, you can keep your little ones busy with these 4th of July crafts for kids. There are a few for mom too! And Independence Day wouldn't be complete without stars, stripes, and flags!